Maxicaravan with valuable finishing and refined design. Aesthetic and function combine, creating thus a very comfortable space. Furniture, textiles and colors are carefully chosen in order to surprise you with the beauty and the intimacy of a real home. better-stocked model, ideal for the most demanding families. 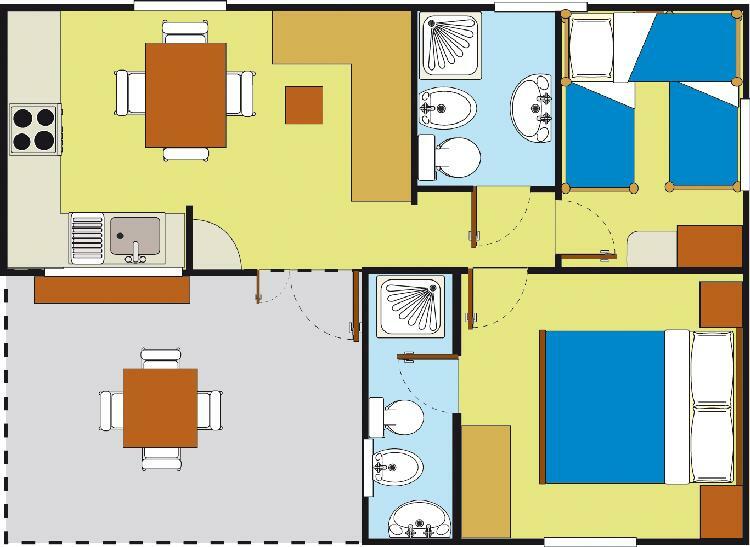 It features two wide bathrooms, a safe, a practical dishwasher, a spacious decked terrace with tiled floor, a table and six chairs. All this for you to enjoy a holiday of complete relaxation. of minimum of 7 nights.